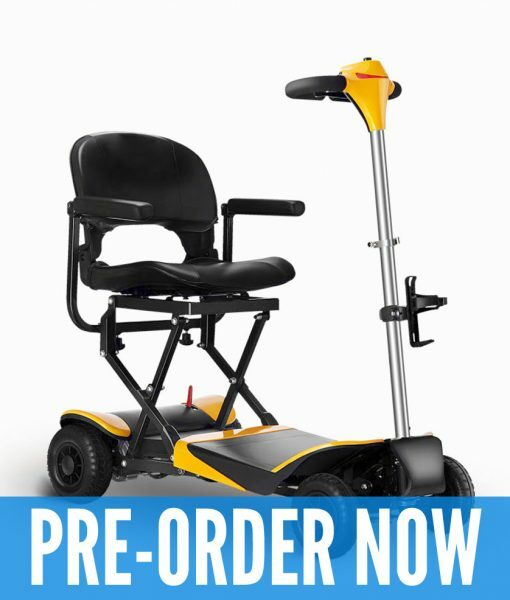 For the active individual who wishes to be independent, and have no limitations that conventional heavy power scooters carry. Karman Healthcare presents the next generation of Powered Foldable Mobility offered in a lightweight, stylish, functional, and affordable package. The Volare Scooter. The Volare Scooter is equipped with a remote controlled folding and unfolding for energy savings and to get you on the go faster, and with ease. In addition, the Volare is equipped standard with a padded seat, high quality Lithium Ion battery, forward and reverse drive controls, and has a top speed of almost 5mph!